An Englishman’s home is his castle, as they say. At times we all want to ‘pull up the drawbridge’ to keep out the neighbours (don’t mention Brexit!). In a horticultural vein this means decent hedging or even bigger screens to block off recent extensions, overlooking windows or just the neighbour’s caravan! 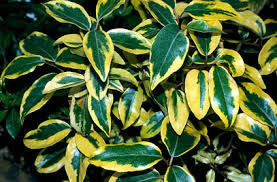 At Rainbow Plants we offer a wide range of evergreen hedging from 3L pots to mighty root balls at 4 metres (such as the mighty Laurus Nobilis) or deciduous native hedging in bare root/pots, all the way up up to 6 metre trees. 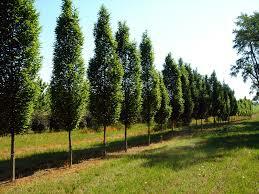 We also carry a range of pleached trees in evergreen (e.g. Photinia, Ilex and Ligustrum) or deciduous Carpinus. For an even bigger screen we have ready-made frames at 3m tall by 1.5m wide of Eleagnus and Carpinus. Examples are kept on the nursery and then we can order in the numbers you need for your project. To discuss options or to get photographs sent to you, catch us on 01404 814847. The nursery is also open for visitors from 8am till 5pm, Monday to Friday. Explore our complete plant gallery for more inspiration.